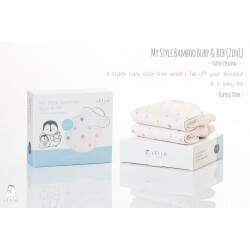 Features double layers of silky soft bamboo muslin with extra soft padding in the middle providing maximum softness for your baby to rest her little head comfortably on your shoulder. 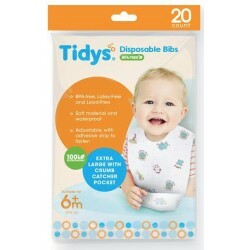 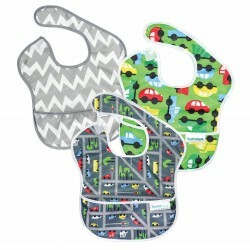 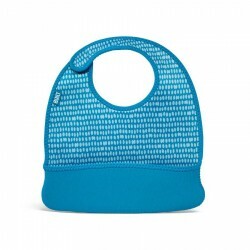 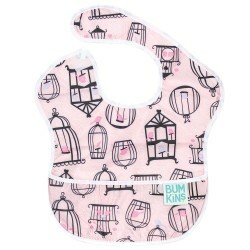 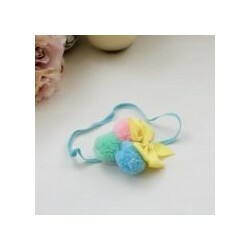 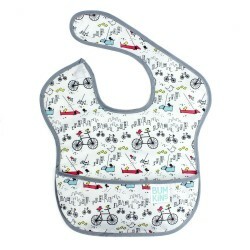 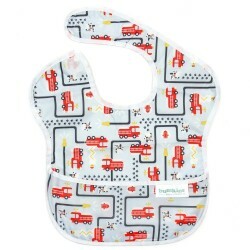 It also works as a bib by covering your baby's shoulders and snapping it at the back. 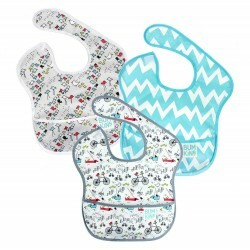 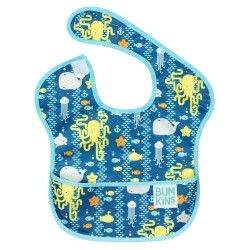 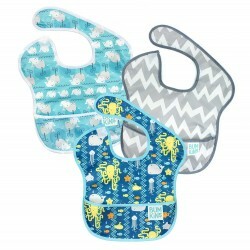 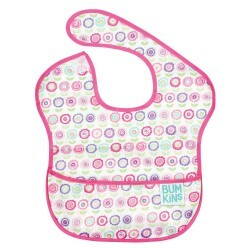 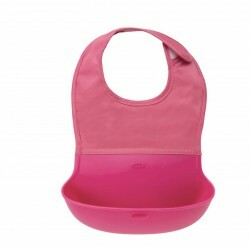 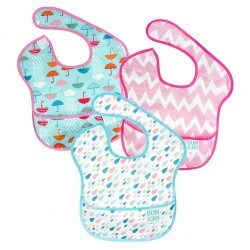 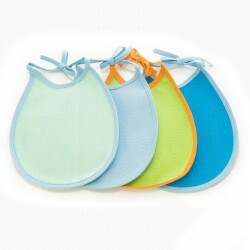 The extra soft padding will do its job to catch and absorb all the drool and little messes during a yummy meal. Features double layers of silky soft bamboo muslin with extra soft padding in the middle providing maximum softness for your baby to rest her little head comfortably on your shoulder (won't fall off your shoulders as well). 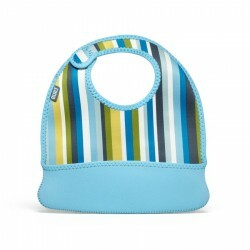 Plus, it is designed for both parents who don't want to carry traditional muslin on their shoulders. 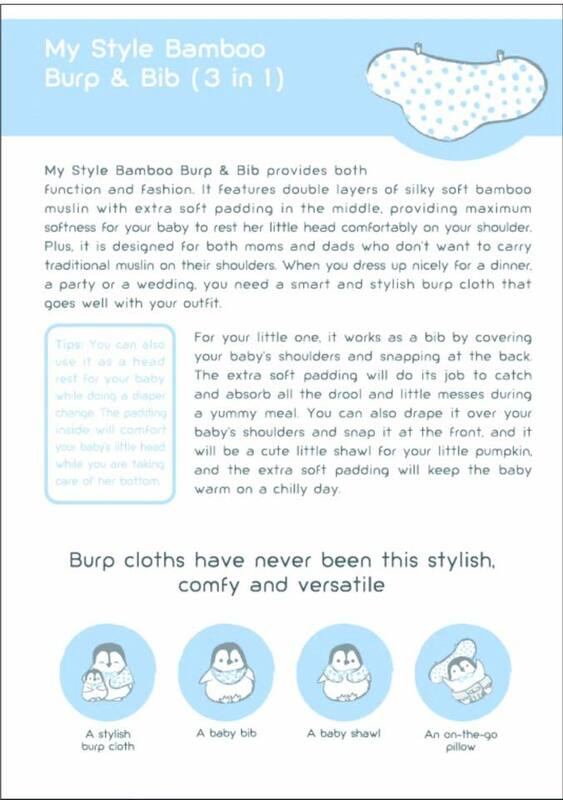 When you dress up nicely for a dinner, party or a wedding you need a smart and stylish burp cloth that goes well with your outfit. 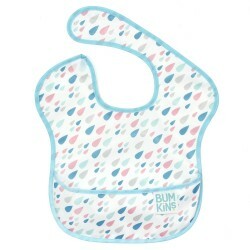 It also works as a bib by covering your baby's shoulders and snapping it at the back. 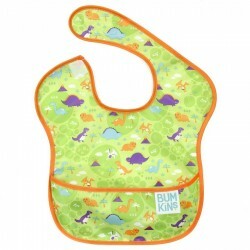 The extra soft padding will do its job to catch and absorb all the drool and little messes during a yummy meal. 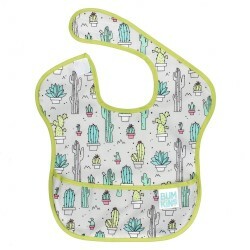 You can also drape it over your baby's shoulders and snap it in front, and it will be a cute little shawl for your little one (the extra soft padding will keep the baby warm on a chilly day). iFlin Baby products are all made of 70% silky soft bamboo fiber and 30% natural cotton and all have snaps for travel convenience.